Category Archives: M is also for Make a Difference Monday! I’ve worked with the homeless in one way or another for about fifteen years, in three states. And one of the things I have learned from so many of them is how easy it is to go from employed and “normal” to homeless almost overnight. And how very, very difficult it is to recover from the fall. Those of us who have never lacked a place to call home can’t imagine the hurdles. It’s everything from having no place to bathe or store clothing to having no address to put down on a job application. It’s no proof of residence to get a driver’s license…or even a library card. It’s a thousand things those of us who have thankfully never been homeless cannot imagine. The focus on Community First Village is to lift the disabled and chronically homeless permanently out of that life of uncertainty, illness and danger and offer them a chance. So far, 99 people have been reached by the Village, but there are still so many people here in Austin who need that helping hand. The goal of this project is to help 225 people permanently leave the world of homelessness and move on with dignity. Several organizations around Austin are working with Mobile Loaves and Fishes to build more micro-housing and provide needed services for the residents. Some are raising money to build a micro-home…and then planning to work on the actual construction. Others are raising funds or offering their time for the support services the Village needs like help with gardens, health care or providing finishing touches like linens and kitchen needs. Everyone can help in some way. Everyone deserves a chance to have a space to call their own, whether it’s a grand house or a tiny microhome. After all, to paraphrase Horton (my favorite Dr. Seuss character! ), “A home is a home, no matter how small.” Please help Austin’s homeless find a place to call home. Mobile Loaves & Fishes is a 501(c)3 non-profit organization helping Austin residents in need regardless of their religious affiliation. I usually reserve Mondays for posts about organizations and events helping the people and pets of Austin. But this time I’m making an exception because the causes are too good and the need is too great to wait even a few more days. Capital Metro and Whole Foods are working to bring 30,000 much needed meals to hungry families in the Austin area, and they need your help to cram those buses full of tasty, healthy food. This holiday season, Capital Metro, Whole Foods Market and the Capital Area Food Bank work in unison to help feed hungry Central Texans by hosting the 3rd Annual “Stuff the Bus” food drive Dec. 12-14! Help us fill 2 entire Capital Metro buses with food to provide 30,000 meals for families in need. Donate non-perishable food items at any Central Texas Whole Foods Market store Dec. 12-14! Bring your donations from home: Drop-off at any in-store collection bin OR take donations straight to the two buses parked at the Downtown and Domain stores! Visit Whole Foods Market Dec. 12-14 and fill a brown bag with non-perishable items OR purchase pre-packed brown bags at the Downtown store. Add a donation dollar amount to your final in-store purchase total at the register. Whole Foods Market Downtown: 525 N Lamar Blvd. All proceed benefit the Capital Area Food Bank. 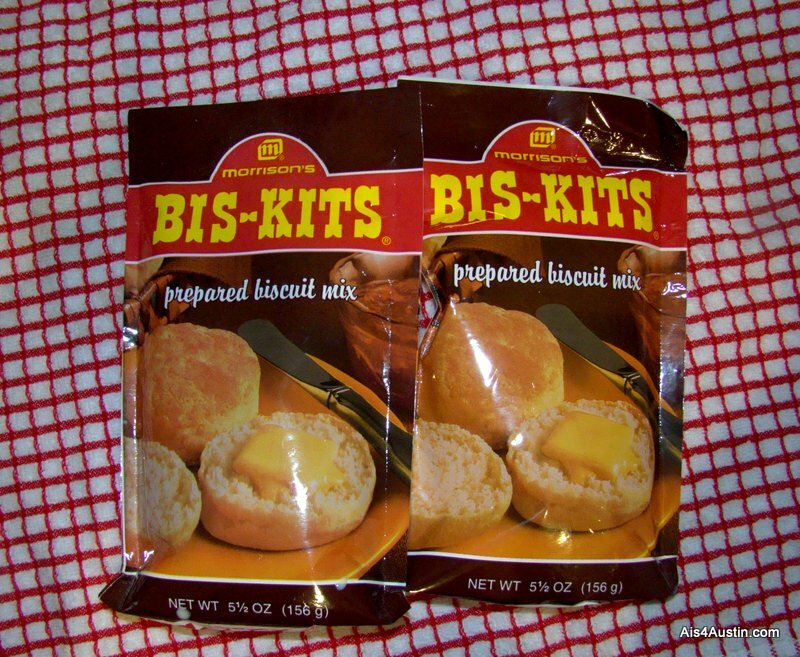 Of course, all food needs to be in its orginal, sealed packaging. And only non-perishable foods can be accepted. It’s so simple to add a few cans and boxes of food to your next shopping trip or two, or buy one of the prepackaged food bags at Whole Foods and they’ll take care of getting it on tables that might otherwise be empty. And lest pet-friendly Austin neglects its beloved furry citizens, there is another awesome campaign running to keep dog and cat bowls filled. “Our annual food drive for local animal rescues is on. From Black Friday to Christmas Eve, all food donations made will be DOUBLED–pound for pound. Upon checkout, donate a small, medium, or large bag of pet food. Check a box for the rescue to which you would like your donation to go. Their goal? To provide 100,000 of pet food. That’s enough to feed 400 homeless dogs for all of 2015! So now you see why I couldn’t wait until Monday to share this information! We all need to help get the word out, too. Won’t you please share this post or the information in it with everyone you know in Austin? Hungry people and pets are counting on you to keep their tummies full. I usually try to write about places you can go again and again. But sometimes I have to make an exception.This is one of those one-off events that’s too good to pass up. 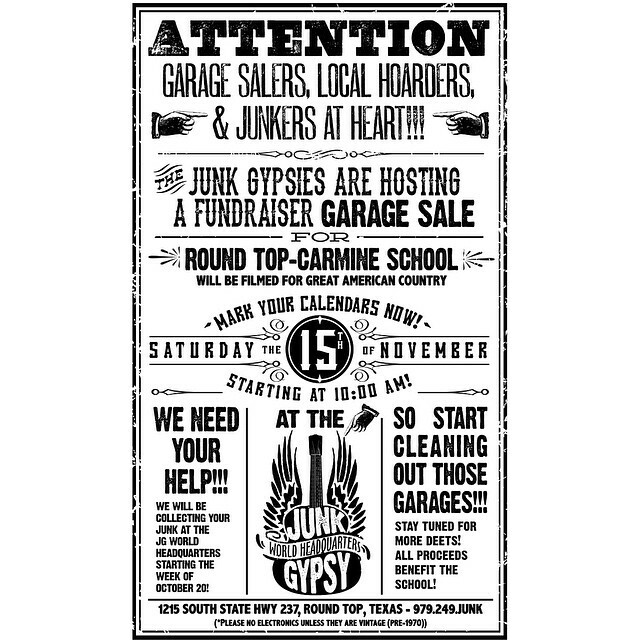 On November 15th, Texas’ own Junk Gypsies will be helping out the Round Top-Carmine school with a very special yard sale at Junk Gypsy World Headquarters in Round Top, Texas. Not only will Amie and Jolie be there (the Junk Gypsies themselves), fresh off their stardom as co-hosts for the CMA Awards, the Great American Country network will be on hand to film the event! If you’re near Round Top, or want to take a drive out there between now and sale day, they’re collecting goodies for the sale at the shop. 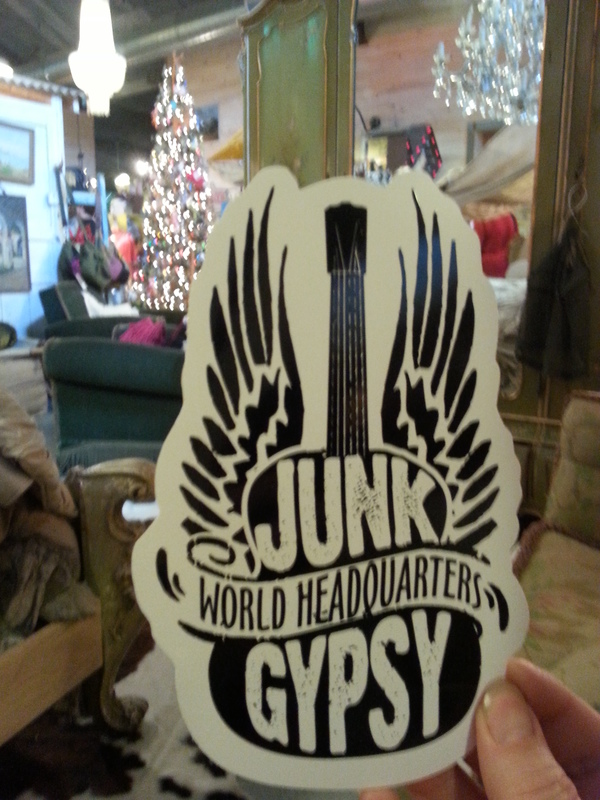 Think vintage, collectible and of course, glitter and glam! Yesterday, my family and I got to help change someone’s life. Now that might sound like an big, unlikely thing, but it’s true. 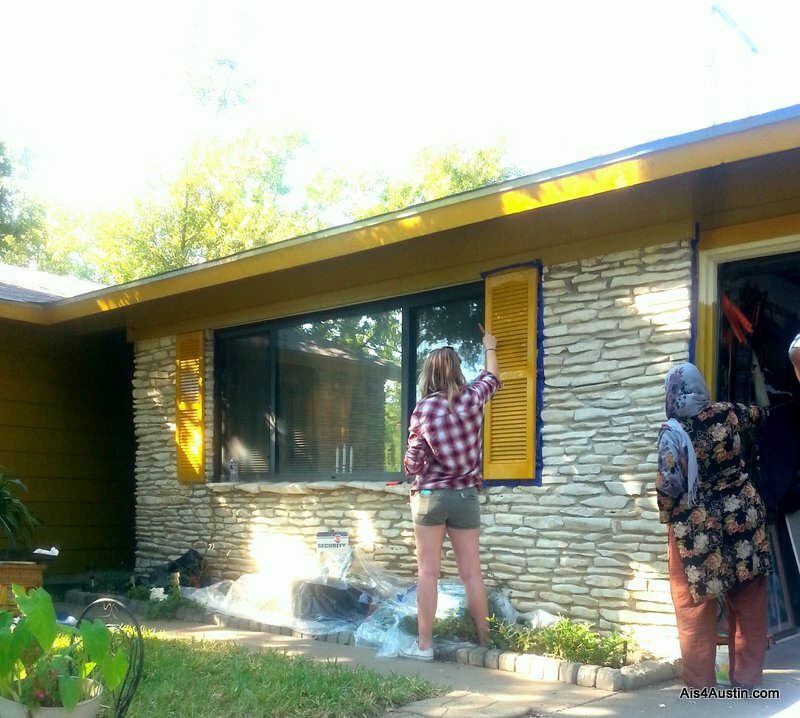 We spent the day working with other iACT (Interfaith Action of Central Texas) volunteers to paint someone’s home. The woman who graciously allowed us to work with her on her home is a senior and a recent widow. Her husband had been ill and disabled for some time before he passed, so between time and lack of income, things on the home they had owned for three decades had fallen behind. Her home repairs and painting were part of iACTS’ Hands On Housing program which brings together willing volunteers and skilled home repair professionals to “repair the homes of senior citizens and disabled individuals who are living in deep poverty.” Teams gather for work days at the clients’ homes, and fix them up so these struggling long-term residents can remain in their Central Texas homes, giving continuity to our neighborhoods. So what was it like? It was wonderful! And hard. Our group of volunteers and professionals ranged in age from teens to 60+. There were lifetime locals, transplants and immigrants. There were Christians and Muslims and Jews. And everyone worked. We scraped and painted. We worked and we got to know each other. And we were blessed to get to know the homeowner, too. We all shared our stories from the tops of ladders, over pizza when we took a break to eat, and while we were stirring paint. We painted trim and shutters. We painted the sides and the back. At the end of the day, the whole house was painted and beautiful. Earlier in the project, plumbing issues had been addressed. At the end of the project, a valuable member of Austin had a home she could once again safely live in with pride. And a group of strangers had gotten to know each other. I am always amazed by the power of volunteer action to bring together people who might never otherwise meet. And to accomplish so much with so little time and limited resources. So yes, yesterday my family and I got to help change someone’s life. Thank you iACT! And thank you to the wonderful lady who invited us to her home to help. iACT is a registered 501 (c)(3) non-profit. They work with faith communities and partner organizations throughout Central Texas. 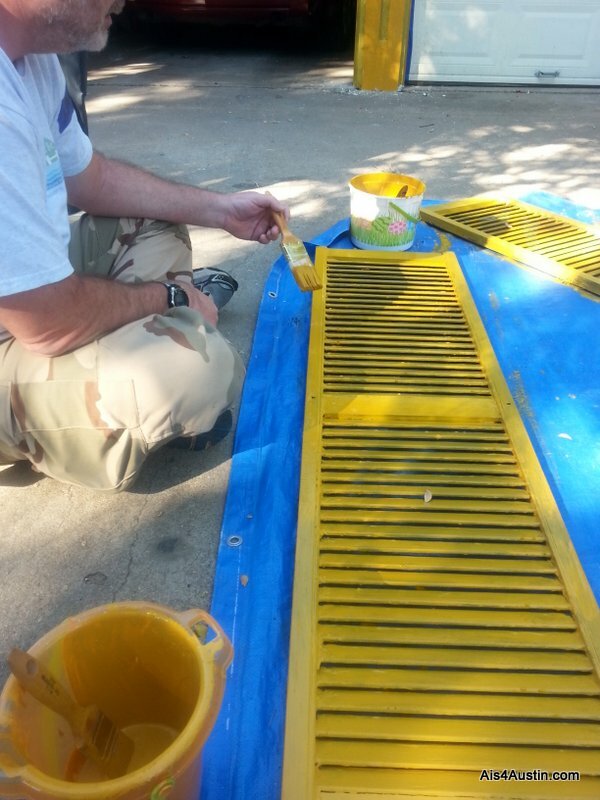 If you would like to get your faith community involved, volunteer for projects or donate your professional skills or building materials, new paint or make a monetary donation, please check out their website or contact them at iact@interfaithtexas.org. Let me start by saying food banks are wonderful. They’re a lifeline to put food on otherwise empty kitchen shelves, and keep hunger at bay when the budget doesn’t support a trip to the grocery store. 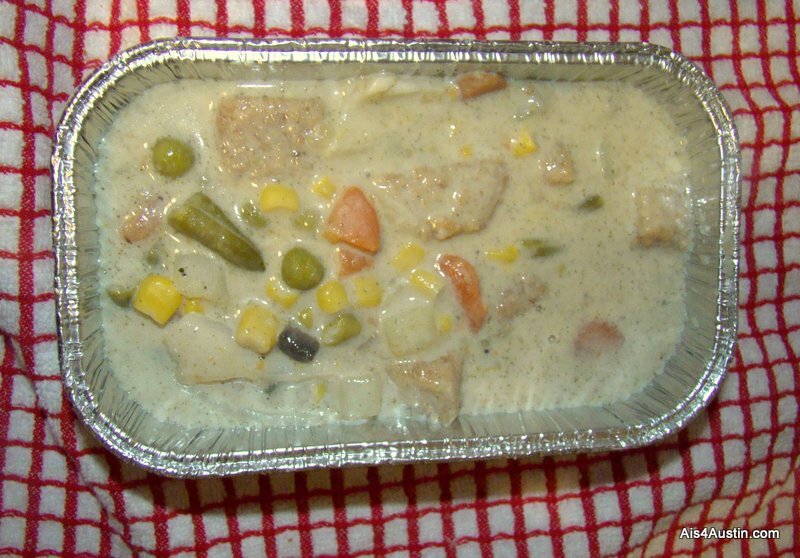 At one point in my life, a box of typical food bank canned and boxed food that appeared on my porch was a lifesaving gift, so I know what I’m talking about. But one of the biggest challenges facing people trying to use a food bank to survive is how to build healthy, tasty meals from canned and packaged foods. Even after my own financial crisis had passed, my single mom days were often filled with trying to make healthy, tasty meals for my kids and I from the case-lot canned good section of the grocery store, or even what was on the shelves at Dollar Tree. If you’ve never experienced that, let me tell you, it’s hard! 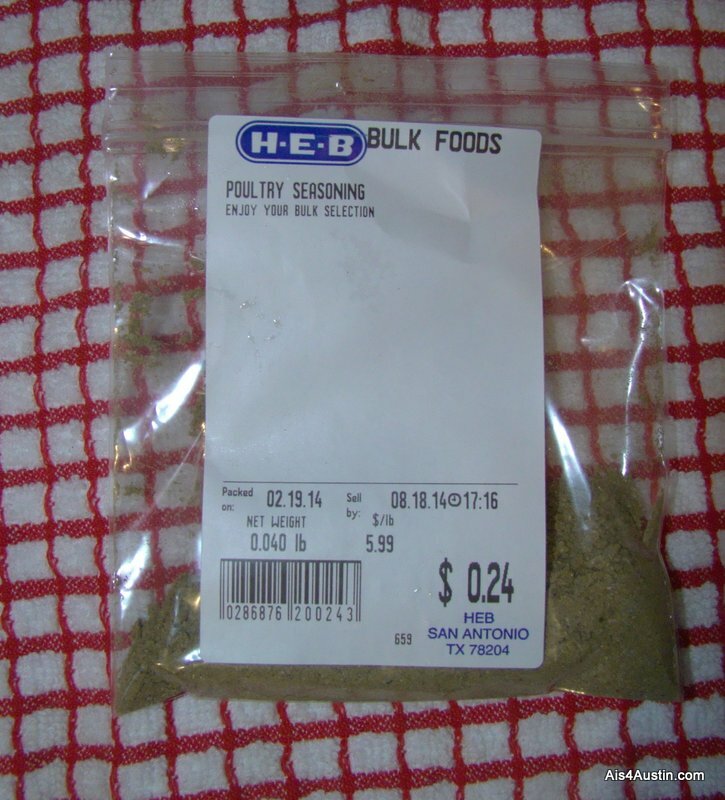 The Capital Area Food Bank here in Austin understands that struggle. That’s why they’ve asked local bloggers in the Austin Food Blogger Alliance to come up with a family friendly, low cost dinner using canned goods likely to be found in a food bank. 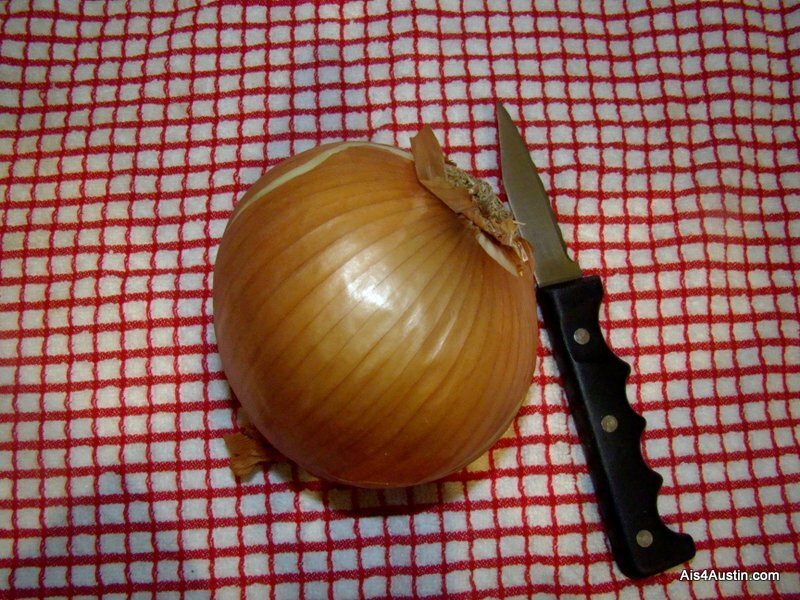 I jumped at the challenge, because I understand the need! 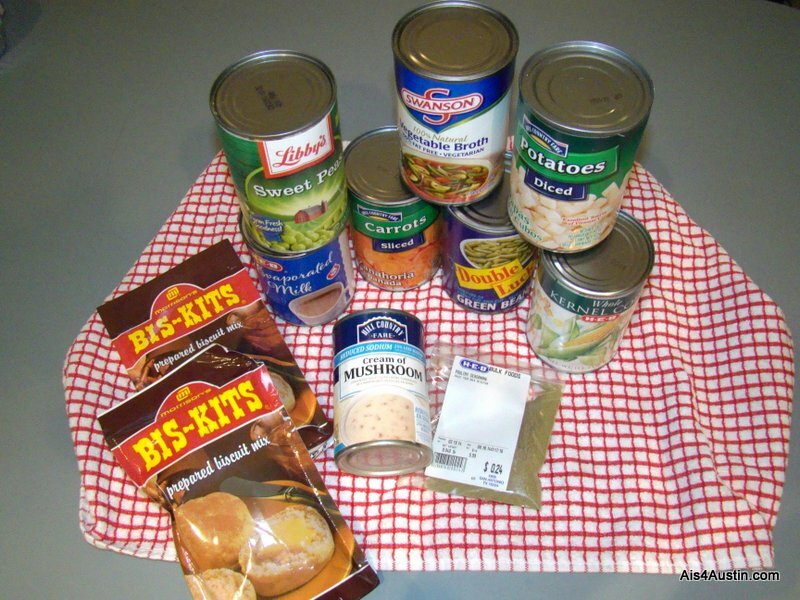 I started with a selection of canned good typical for a food pantry. Selecting a variety of vegetables means you’ll end up with a meal that’s heavy on nutrition. If low sodium versions are available, do select those cans. 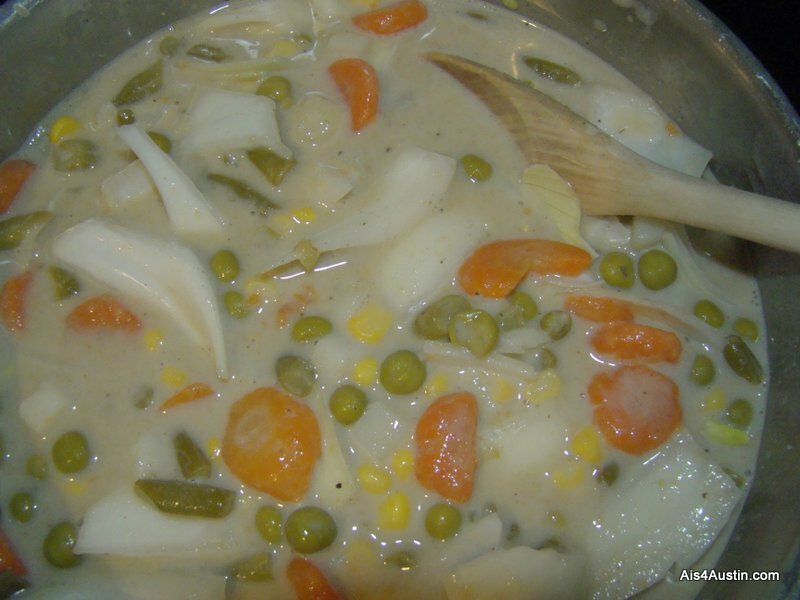 In a large sauce pan, combine all the vegetables, broth, remaining 1/2 can of milk, 1/2 can of condensed soup and seasoning. If you have any leftover filling, as I did, mix the filling with the remaining broth mix and condensed soup. Add some extra milk, broth or water to make a nice cream soup to serve with another meal. 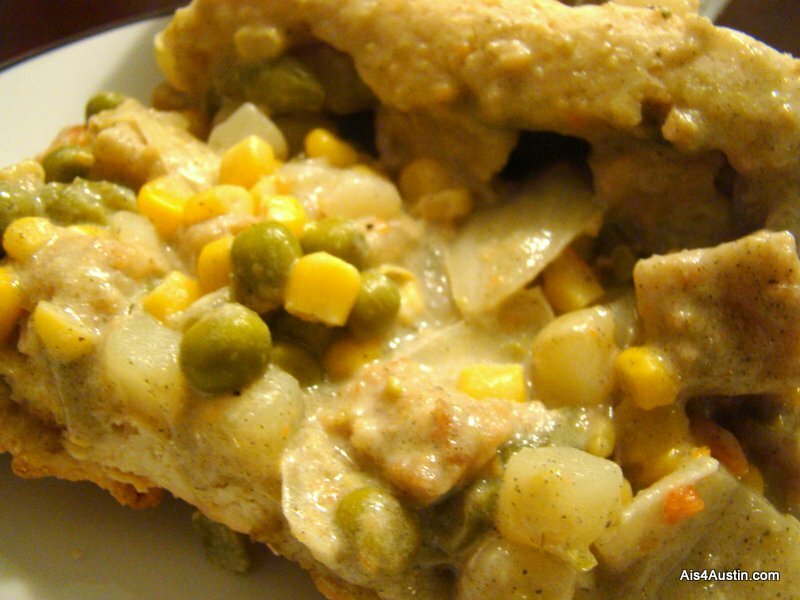 These pot pies freeze well. If you’re not planning on eating them immediately, assemble them, then freeze. 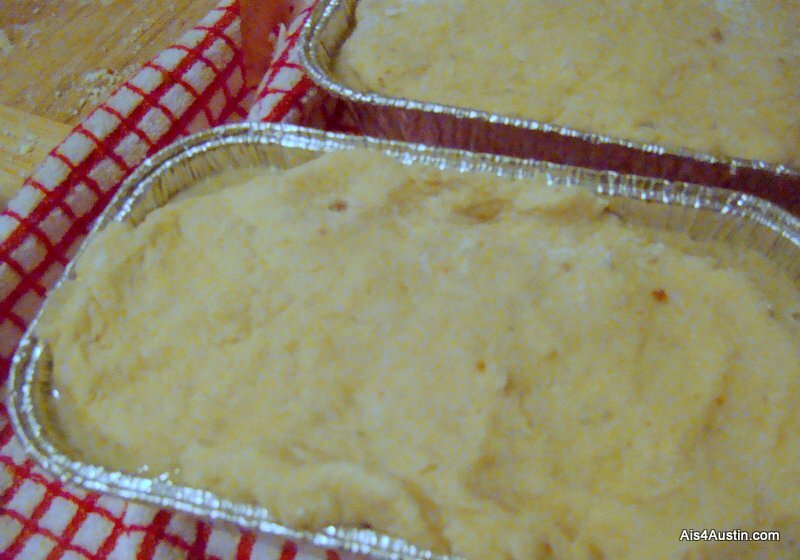 Bake for 45 minutes at 350 degrees, or until hot in the center. * I don’t eat meat, so I used vegetarian protein sources. Tofu, at about a dollar a package is a great choice for vegetarians on a budget who want to make this dish. 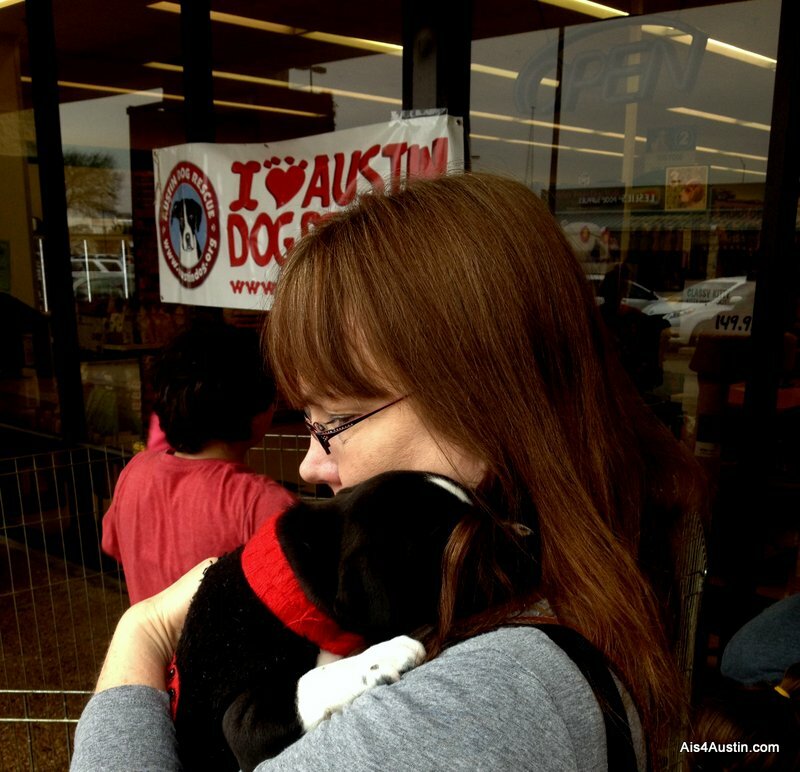 Austin Dog Rescue and a puppy to hug…gotta love it! 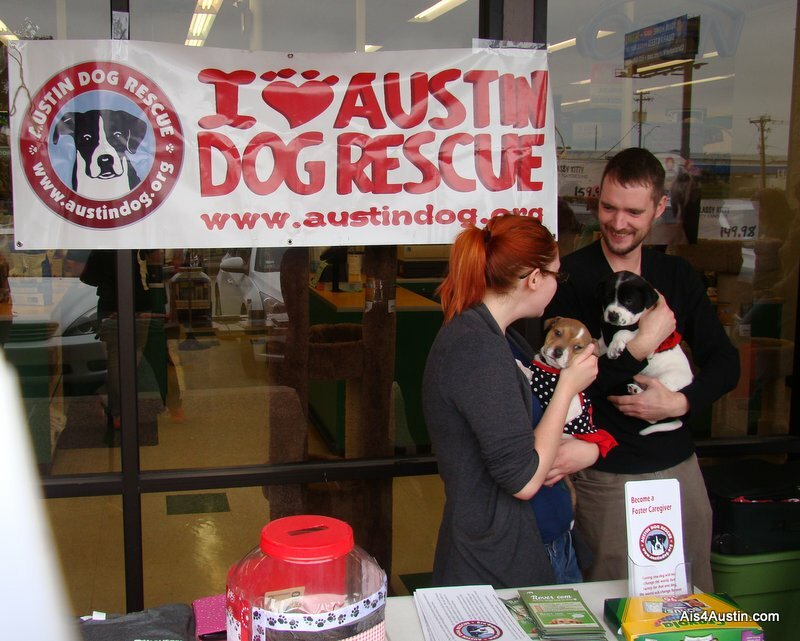 Over the past few days, Austin Dog Rescue has been offering a Puppy Kissing Booth in honor of Valentine’s Day. It’s a great way to celebrate the holiday (raise your hand if your pets give you more love than most people! 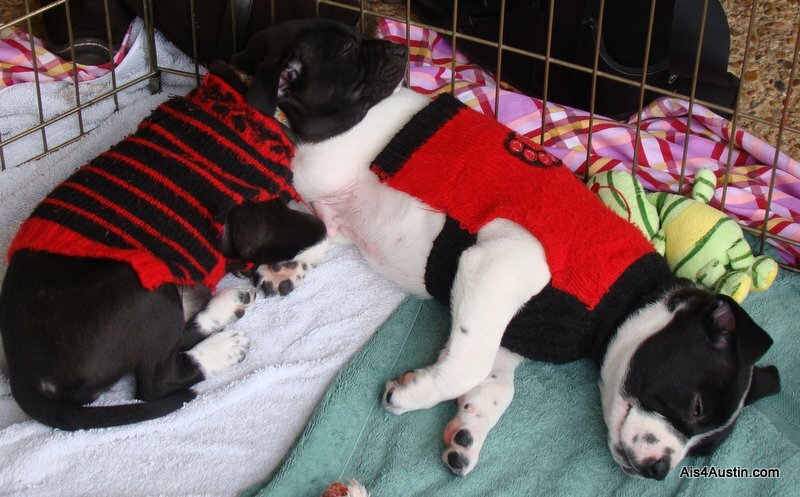 ), and a fun way to show off the puppies looking for their forever homes in Austin. But as much as I loved the cuddles (as you can see in that first shot, where she snuggled up against my neck, and fell asleep! ), I really enjoyed learning more about this wonderful group. Austin is known for its focus on animal rescue and no-kill shelters, but that’s not an easy thing to pull off. Caring for dogs until the right home is found is expensive, and requires a committed group of volunteers who will work with the pups until they’re adopted. And when it comes to Austin Dog Rescue, that also means finding the right foster home for each and every dog accepted into the group. Unlike rescues based in shelters, which are another essential piece of the animal rescue puzzle, these puppies and adult dogs are cared for in private homes where they can spend time socializing with people and other pets. That home-based care was the goal when the group was founded in 2006. And since that start, it has worked to help them place over 1,000 homeless pups in loving homes in and around Austin. But they’re not done. Even after all those forever homes were found, there are still so many wonderful dogs waiting for their own home. And new homeless dogs appear every day. At Sunday’s event, I loved meeting the amazing rescue volunteers almost as much as playing with the dogs. There were teens and there were seniors, and all ages in between. Some were foster moms and dads. Others were event volunteers. But you could see that each and every one of them loved these pups. 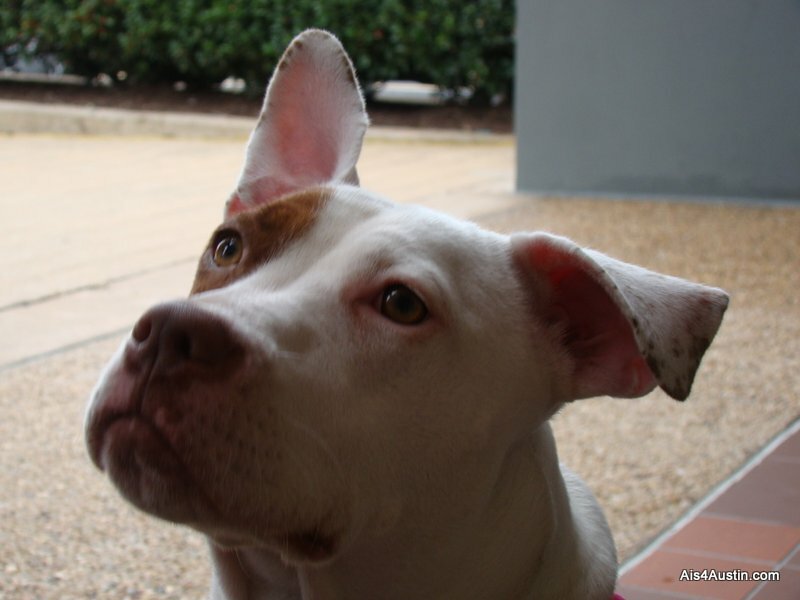 If you’re thinking about adding a pup to your family, please celebrate one of the best aspects of Austin and head to a rescue group like Austin Dog Rescue, Austin Pets Alive, Austin Cats’ Angels instead of a breeder or a pet shop. The love — and the chance to save a life — is there waiting for you! Can you imagine not being able to buy diapers for your baby? Or being a senior citizen in need of adult diapers, but with a limited income? Diapers and other personal care needs aren’t covered by programs like Food Stamps. They’re not available at most food banks. But if you have a baby or toddler, they’re not optional either. Lack of enough diapers to keep a baby clean can lead to a whole host of physical and behavioral problems. And now researchers are finding a link between being unable to afford diapers and a mom’s increased risk for depression. Which of course, then affects her ability to care for an uncomfortable, fussy baby — or a baby who may even be in pain with severe diaper rash and other infections. It’s becomes a downward spiral in which no one wins. And for older people in need of incontinence protection, having adult diapers can mean the difference between going out in public at all…or becoming a recluse. Cloth diapers might sound like an option for people with children, but the laundry costs can quickly become financially prohibitive for that, too. Especially if, like so many people in apartments, you don’t have a washer and dryer at home. (Trust me…I did the cloth diaper route! It was hard to keep up even WITH a washer and dryer!) Add to that the fact that most day care programs won’t accept a child in cloth diapers, and you have a secondary economic issue. Thank goodness there are people stepping in to help to fill this need here in Austin. I met the ladies behind the Austin Diaper Bank at a Texas M.I.L.K. event a few months ago. I learned that the group was the idea of founder Beverly Hamilton. She read about a similar program in other cities across the country, and was touched by the impact of the programs on the lives of children and families. But when she learned that Austin had no such program, she stepped into the void. The Austin Diaper Bank was born in June of 2013. The program is currently run out of the director’s home, but is looking for help with renting a space so they can accept more donations, sort and repackage them, and get them out to the growing numbers of families in need. The group has already taken in and distributed over 50,000 diapers to date. But the need keeps expanding. So how can you help? So glad you asked! Austin Diaper Bank is always in need of diapers, volunteers to sort, package and deliver diapers and to get the word out. Check out their How YOU Can Assist ADB in 2014 page for the details. That package or two of baby, toddler or adult diapers you donate could make a big difference to a family in crisis.